Khaidi No 150 14th Day Collection 14 Days Khaidi No 150 2nd Wednesday / Week Box Office Report: Khaidi No 150 collected a good amount. The Chiranjeevi comeback movie which released on January 11 made a record by collecting Rs. 50.50 crores worldwide on its opening / 1st day. Since then, Khaidi No 150 collections are increasing over the first weekend.The latest news is that the movie has already collected Rs. 100 cr worldwide. VV Vinayak is the director while Chiranjeevi’s son actor Ram Charan is the producer of the movie. It is the official remake of the Telugu blockbuster film Kaththi of Ilayathalapathy Vijay. The film is steady and performing at the worldwide box office. The action entertainer performed quite well throughout the weekend. It has crossed the mark of Rs. 100 crore across the globe due to its business. It is doing a mind-blowing earning in the regions of Andhra Pradesh and Nizam. Ram Charan shared the latest collections’ figures to the media. Moreover, Trade analyst Ramesh Bala tweeted the same on his official Twitter handle, “Boss is Back and ruling the BO WW.. ?#100CrGrossForKhaidi ?.” Along with him trade analyst Trinath also shared that it has collected Rs. 106 cr worldwide, in an interview. In the first five days, it has minted Rs. 55 crore from AP/Nizam regions. Speaking of the Vizag region, the latest movie of Chiranjeevi has taken over the 2015 blockbuster Janatha Garage which starred Mohanlal-Jr NTR. Not only in India, but the film is also faring well at overseas. The directorial of VV Vinayak has already earned $2,002,531 at the US BO. With it, it became the third Telugu highest grosser. At the first two spots are SS Rajamouli’s Baahubali and Mahesh Babu’s Srimanthdu, overseas. It is the fourth Tollywood movie to have crossed the mark of $2 million at the US BO. It follows Baahubali: The Beginning, Srimanthudu, and Nithin-Samantha-Anupama starrer A.Aa. With its collection figures, it has left behind Aamir Khan’s movie Dangal and last year’s release Ok Jaanu starring Shraddha Kapoor and Aditya Roy Kapur. The flick stars Chiranjeevi, Kajal Aggarwal, Tarun Arora, Ali, and Tanikella Bharani. The big boss Chiranjeevi has returned to the big screen after a gap of nine years. His last film Shankar Dada Zindabad was released in 2007, and it was the remake of Bollywood hit film Munnabhai MBBS. Chiranjeevi’s latest film has emerged as the clear winner compared with the other main releases of Sankranthi like Balakrishna’s Gautamiputra Satakarni and Vijay’s Bairavaa. 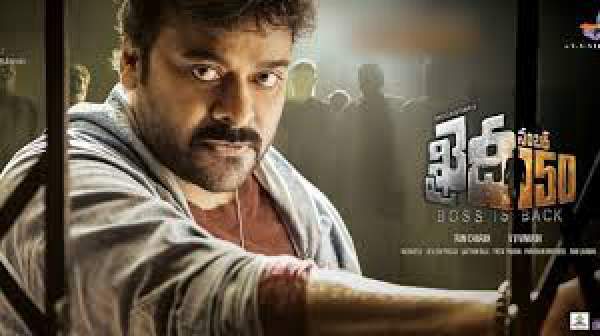 Chiranjeevi plays a double role in it while Devi Sri Prasad has given the music for the movie. Stay tuned for 15th day collections and more news here at The Reporter Times. For more updates, you can subscribe to our daily newsletter. Kabil is excellent movie.. very good story line and brilliant acting..